Vivian Lucille Gray Richardson, 82 of Dublin,VA, formerly of Narrows passed away on Sunday, February 3, 2019 at Carilion New River Valley Medical Center in Christiansburg, VA. Mrs. Richardson was born on June 29, 1936 in Giles County, VA and was a daughter of the late James Edward Gray and Thelma Burton Gray. Besides her parents, she was preceded in death by her husband, Russel Ward Richardson, two daughters, Wilma Jane Richardson and Patricia Darlene Berry. Lucille grew up in Narrows, met and married her husband Russel in Narrows. Russel joined the Navy and they lived in many different places in the United States. Upon his retirement from the Navy, they settled in Dublin, VA, where they enjoyed many visits from her grandchildren and great grandchildren. 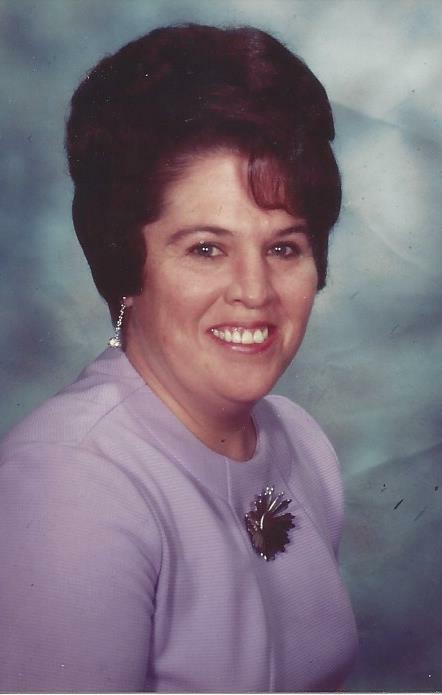 She was a retired employee of the Dublin Garment Factory and loved sewing and cooking. She enjoyed caring for her parents and in-laws in their later years, as well as spending time with her siblings and extended family. She is survived by one son, James Emory Richardson of Pulaski, one daughter, Rita Richardson Harrell (Danny) of Hobbsville, NC, eight grandchildren, Misty Wooten, Freddie Berry, Rhonda Martin, J.W. Richardson, Russel Richardson, Carisa Copeland, Martha Chappell, Danelle Magrini, fourteen great grandchildren, two brothers, James Edward Gray, Jr. (Barbara) of Pembroke, Oscar Daniel Gray (Deborah) of Elliston and one sister, Toby Ann Gross of Franklin. Funeral services will be conducted Friday, February 8, 2019 at the Riffe – Givens Funeral Chapel in Narrows at 2:00pm with burial following in Fairview Cemetery in Narrows. The family will receive friends at the Riffe – Givens Funeral Home Thursday from 6 – 8. The family is being served by Riffe - Givens Funeral Service in Narrows, (540) 726-2442, and online at riffefuneralservice.com.